We use the world most advanced technology. Clinically proven and thouroghly tested. Easily tolerated in geriatric age group. No oils used, stress and pain free massage. 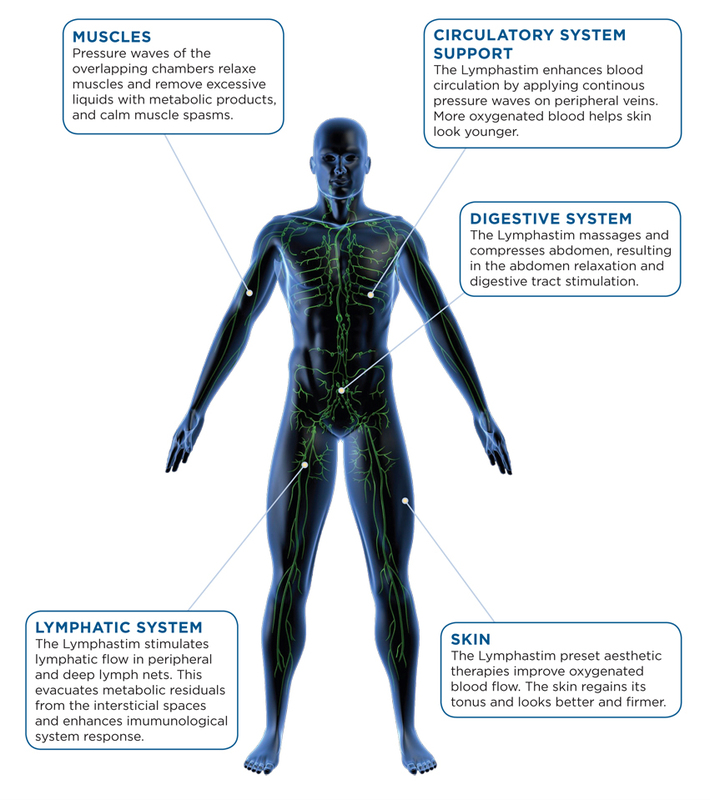 Lymphatic drainage is a well-established clinically-proven therapeutic method that delivers immediate and visible results.Lymphatic massage is based on the pneumatic pressotherapy principle.Special applicator sleeves with multiple overlapping chambers provide gentle massage that encourages the natural circulation of the lymph through the body.